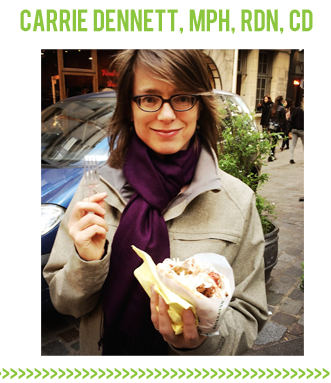 Today’s guest post is by Carrie Dennett, MPH, RDN, CD, author of Nutrition By Carrie. 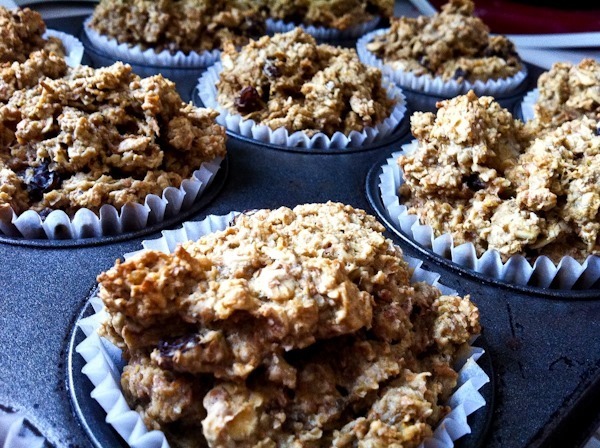 Carrie’s post is full of sound advice on the common denominators of healthy diets. 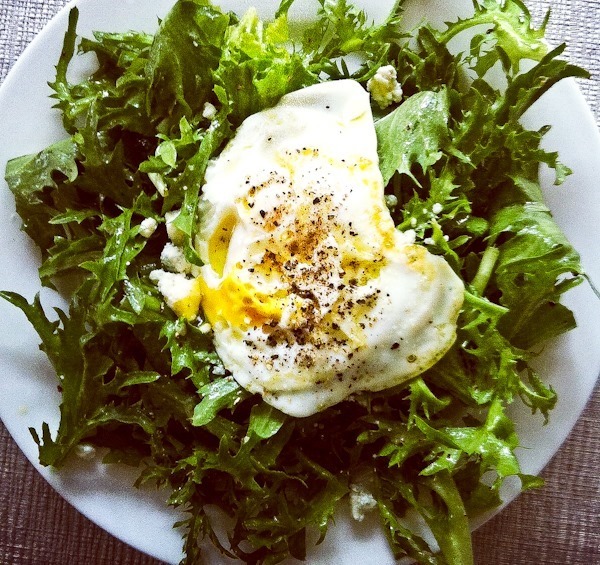 What’s the healthiest way to eat? That depends on who you ask. At times, it may seem like everyone from your neighbor to your coworker to the latest best-selling diet book author claims to know the One Perfect Way to eat for weight loss or health, but odds are that these dietary advocates disagree with each other in some fundamental ways. So, who’s right…and who’s wrong? The truth is this: There is no one single way to eat for good health, no one perfect diet. When someone sings the praises of a specific way of eating, they may have found the diet that works best for them, and probably for some other people, too. But that doesn’t mean it will work for everyone. As a species, we humans are quite similar on a cellular and genetic level, yet as individual specimens we can be amazingly diverse. That’s why your neighbor may have endless energy on a vegan diet while a paleo diet makes your coworker feel like they’re on top of the world. Ironically, these two dietary patterns appear to be polar opposites: The paleo diet includes meat but excludes grains and legumes, while the vegan diet includes grains and legumes but excludes meat and other animal products. How can both diets work? The answer lies in what they have in common. 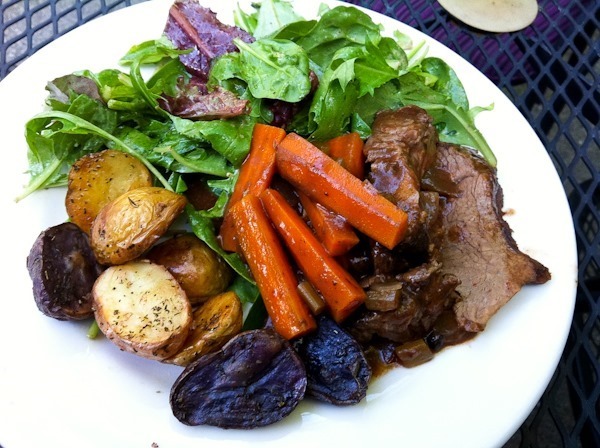 I know paleo dietitians and vegan dietitians who eat wonderfully healthy, balanced diets. Their food provides high-quality fuel for their bodies, but they also enjoy what they eat. Yes, their diets have some big differences, but they have two huge similarities: They include lots of vegetables and they minimize highly processed foods. Lots of vegetables and minimal processed foods. Those are the common denominators of a healthy diet. From there, you can fill in the blanks to suit your taste buds and unique physiological needs by adding your choice of quality fats (nuts, seeds, avocados, olive oil, fatty fish) carbohydrates (whole grains, fruit, starchy root vegetables) and plant- or animal-based protein (legumes, soy, fish, sustainably raised meat, poultry, eggs, dairy). We need a varied diet in order to get the vitamins, minerals, fiber and phytonutrients required for optimal health and wellness, but there are endless combinations of foods that will get us to that goal. While we all need carbohydrates, fat and protein, there is no “magic” ratio that we should be striving for. When working with clients, I see problems arise when they focus on what they DON’T eat (like meat or grains), instead of being thoughtful about what they DO eat. Failing to see the big nutritional picture can easily lead to a “healthy diet” that isn’t so healthy, after all. For example, a paleo diet that includes lots of processed meats, paleo cookies and coconut milk ice cream with very few vegetables isn’t terribly healthy. Neither is a vegan diet that is low on veggies, high on white bread, pasta, vegan cookies and soy ice cream. It’s a wonderful thing that there are many ways to eat healthfully and well, but it means that to find your optimal diet, you need to trust your body to tell you what that diet looks like. For many of us, it can be hard to relearn this intuitive approach, which we all had when we were small children! To start, let yourself choose from quality, nutrient-rich foods, and pay attention to how you feel. Do you feel energized for hours when you eat oatmeal for breakfast, or do you need more protein from, say, eggs or Greek yogurt? Do you run best on three square meals a day, three meals plus snacks, or six mini meals? Do you feel energized after eating meat, or tired? Are there certain “healthy” foods that make you feel bloated? Then they probably aren’t healthy foods for you! Keep in mind that while it may feel easier to simply adopt a ready-made dietary formula, it’s rarely sustainable or satisfying. Investing in yourself by learning how to forge your own personal, intuitive path can help you enjoy the act of eating while realizing improved health and wellness for the rest of your life. It’s about finding that sweet spot between eating to live and living to eat. Carrie Dennett, MPH, RDN, CD, is a Seattle-based registered dietitian nutritionist and nutrition columnist for The Seattle Times. She provides in-person and virtual nutrition counseling and coaching via www.carriedennett.com and blogs at www.nutritionbycarrie.com. She enjoys cooking, baking, vegetable gardening, reading traveling and going on long walks with her husband and golden retriever. Great advice! I’m glad to see the approach of choosing what works for each individual because people tend to be very passionate about their choice of diet and think that is what *everyone* should eat. What helped me lose 200 lbs may not be the way someone else chooses to lose their weight but my husband and I need to do something we know we can do for life. What a great reminder! I have been in the midst of this struggle for a few months now, trying to decide what “diet” I should be following. I am not a big fan of animal products but haven’t found a groove with a 100% vegetarian route, so then I wind up eating something unhealthy! I like the thought of following more of an intuitive approach, something I definitely need to make a priority and really focus on getting that back. I love this post! I’ve definitely tried various elimination diets before (no sugar, no carbs, etc) and they never worked well for me. I’ve slowly figured out what makes me feel best and that’s what I need to focus on! This is a fabulous post! Health isn’t about which diet “team” you are on, but about nourishing yourself with whole, fresh foods. So so true! I’ve met a few vegetarians who are missing the whole vegetable part of the diet, eating mostly pasta and bread! As a result, the whole health benefits that could be taken from a potentially wholesome diet are lost! Kath I am almost in tears about this post. Thank you thank you thank you!! I get pulled in so many ways by friends who swear by pale to those that are gluten-free (not for health reasons) to those that don’t eat red meat, etc, etc. I always say what works for you may not work for me and it can almost be arguments about their results compared to mine. As I learn about new foods and new ways to cook, less fat, less butter, less processed foods and more healthy alternatives I feel better. 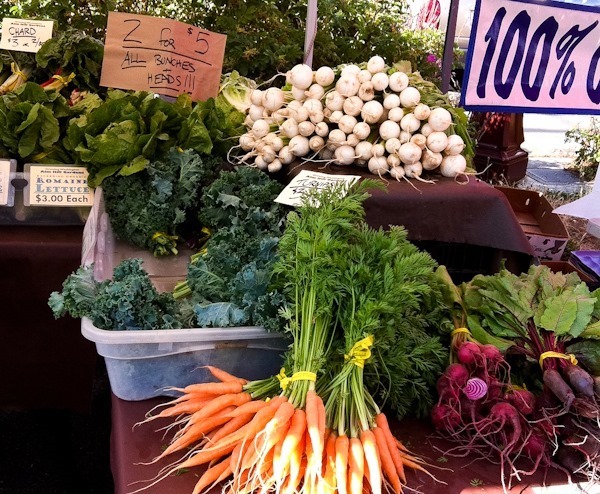 I love exploring the farmer’s markets for new veggies to try and learning from the farmer new ways to cook them. Thank you again for this post. Someone who like you is telling me it’s ok to eat healthy but to also enjoy it all! s/n: People are noticing that I am slimming down. The scale is still stuck in the 2’s but I am able to fit more clothes from years ago. This is such a great post that I shared it on Twitter. I hope more people read this and realise that we are all different and that we need to listen to our bodies when it comes to nutrition. I also think that you made a great point by stating what things “healthy” diets have in common. I agree that it is all about cutting down/out processed foods and adding more veggies. Diversity is key to any well balance meal. This is great! I have found that anytime I’ve tried to eat according to a certain diet, I end up over thinking it and eating too much of this and not enough of that. I try to just focus on making healthy choices and not depriving myself. This was a great post. Please invite Carrie back for more details on the intuitive element! I love it when RDs don’t advocate for a single approach to nutrition (and I’ve met with a lot of RDs who do! ), so I really appreciate Carrie’s thoughts about eating lots of vegetables and minimizing processed foods but also paying attention to how foods make you feel. I do have one question for either Kath or Carrie, if you can answer it. What are your thoughts about eating for your blood type? I’m not sure if you’ve written about it before (either of you) but I’m just wondering if there is any scientific evidence backing the validity of it, or if again, it’s a matter of how it makes certain individuals feel. Thank you! I am not up to speed on it to know if the science behind it is valid or not, but my gut would tell me that there is probably SOME truth to it but not enough to completely overhaul your life and live by strict rules. I think listening and watching your body is probably the best way to approach it – and maybe your blood type does correlate with a certain way of eating. Here’s some info. on the blood type diet being debunked. Peter D’Adamo, the main proponent, has never produced any scientific or clinical evidence of his theories, and his understanding of blood type evolution is incorrect. What it does have going for it is lots of vegetables (although it’s strange in the way that it decided that certain blood types should eat certain things and not others) and limited, if any, processed foods…just like this post says. I’m terribly confused. Can you please explain how natural selection would trump genetics? I’ve been spacing them out every other week. I had such a great number of people interested when I posted last year that I want to include everyone. I figured every other week was a good space – once a month and I’d be covering two years ; ) There aren’t as many coming up as there have been. I will say however that most of them have been really well received, but thanks for your opinion. Totally true! I have celiac disease so I medically need to avoid gluten in my diet. Yet, I often run into a lot of people following the “gluten free” diet in order to lose weight – but nothing happens since they’re gorging on gluten free processed junk! i have often wondered why people w/o celiac or an intolerance choose to be gluten-free..are there any benefits to this at all, or is this the latest trend? Losing weight has been a side effect of following a lower-carb diet, but the tremendous energy, pain-free joints, and excellent lab numbers have really made me a believer. That being said, I realize my diet is a choice and my heart goes out to those who absolutely must avoid gluten. Some people who do it as a fad make it very difficult for those who need to do it to survive. I generally don’t eat any packaged foods, so I avoid gluten-free processed foods just as I avoid gluten-containing ones. Wonderful post! It’s a great reminder for to focus on what TO eat instead of what NOT TO eat. Thank you! I’ve done quite a bit of experimenting with different eating plans, and although the pull to apply a label to myself is sometimes strong, I’ve come to realize pretty much what you’ve said here- it’s not about WHAT plan I follow; it’s about lots of vegetables and paying attention to what feels good in my body. Now I have gestational diabetes, so that’s a whole other ball game. With all these eating experiments, I’m starting to think I should go into some sort of nutritional field myself! Love this post! Thanks for the great advice! I can totally relate to the part talking about eating what you don’t like. There was a point where my diet was focused ALL on protein when really I’m not a big fan of meat!! Fabulous post! I am a huge advocate of individuals finding out what works for them, and that there are many different ways to eat healthy. Thanks for sharing! I really like the spin you’ve put on this, Ms. Dennett. I’m going to change the way I communicate about what I eat. When people say, “What do you EAT?! !” it’s much better to be able to say, “Lots of veggies, local meats, wild fish, fresh eggs, and fruit,” than recite a litany of the things you avoid. One of my favorite guest posts ever. So very balanced and sensible. Thank you! I have spent so much time looking outside of myself for the perfect plan. I love the fact that this post really encourages people to find works for them. I am loving my journey to getting healthier because I finally embraced the fact that I am a unique individual. Looooooved this post! I kept nodding as I read! Was just about to write almost exactly what Bethany did. LOVED this post, and it was my favorite guest post so far. Thanks! I thought this post was excellent! It is a wonderful reminder that one specific diet does not work for everyone. I have Crohn’s Disease and have tried several different diets, and I’m still figuring out what works for me. Thanks for the post, Carrie! Great post! I agree with all of the above-most definitely about limiting processed foods! I try to make everything from scratch…it’s very time-consuming but it’s very important for me to feed my children health homemade food! Wonderful post! In an era of “my diet is the best and there is no other way”, it’s refreshing to see an acknowledgment that people can each be healthy on completely different diets. Best post I’ve seen on KERF! This is a great post! I love the focus on the ‘big nutritional picture’! It’s so refreshing to see so many RDs lately with a balanced and non-black-and-white perspective. Thank you for sharing! I love the concept that too much focusing on what one does NOT eat can lead to issues. I always say there are only two rules that apply to almost everyone: 1) more water, and 2) more vegetables! I love the concepts you discussed above. I hope our fellow RD’s will continue to look at the big picture and look at clients/patients as unique as their bio-individuality! Great post! Favorite post!!!!! 😀 Thanks for the advice… I wish the article kept going! !